Craig kicked off his career in finance in 1989, guided by a friend who recognised his potential and employed him at ANZ / Esanda. With 27 years of banking and finance experience, Craig is well placed to assist you with both Equipment Finance and Property Finance. He has mastered the art of negotiating with the banks to secure the best deals for his clients. While he’s a strong negotiator and advocate for his clients, he’s just as much an easy going, friendly and humorous business partner who eases a process that can often be quite stressful. 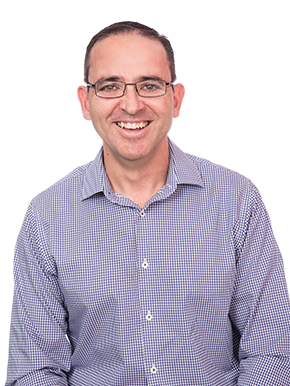 In his spare time, Craig enjoys hitting the slopes in Queenstown, watching Seinfeld re-runs & supporting his beloved Collingwood – carn the pies! With 27 years of banking and finance experience, Craig is well placed to assist you with both Equipment Finance and Property Finance. He has mastered the art of negotiating with the banks to secure the best deals for his clients. What has Craig recently financed? What an amazing 10 year anniversary present! QPF Broker Craig Goss has been financing various vehicles, plant and equipment for Any Access Mini Excavations Pty Ltd for 10 YEARS now! Their latest purchase was the pictured TOYOTA Hilux! Work with a Broker who's with you for the life of your loan, and then some! Craig at QPF has done a number of deals for us and we were very happy with their service and professional manner.